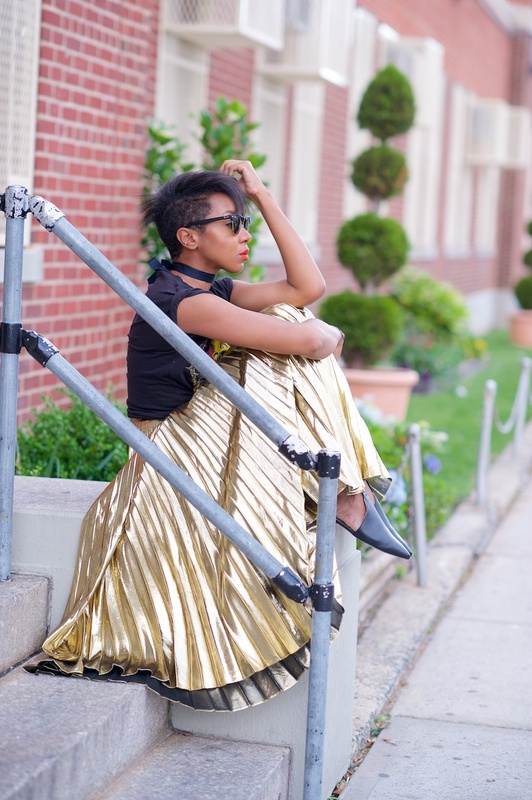 Wow – I am still talking about this damn gold skirt! Check my snapchat to see more on it (karenbritchick) but basically it goes like this: I’m going towards my local train station and spot a young woman selling some clothes on a laid out blanket on the pavement. Amongst her pile I see the flash of metallic gold and she pulls it out for me to look at. “It’s a Halston skirt” she says, showing me the Halson label. I have no idea if it really is or not but it does look like it based on a quick Google. 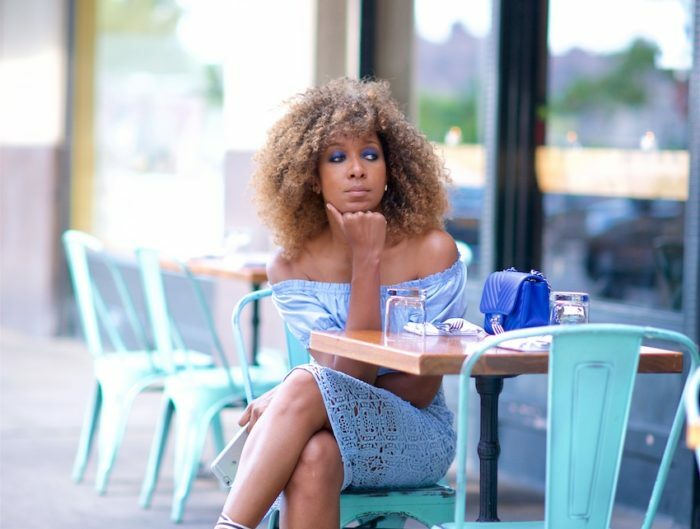 It reminds me of the Gucci metallic skirt but I prefer this one being it’s old school. 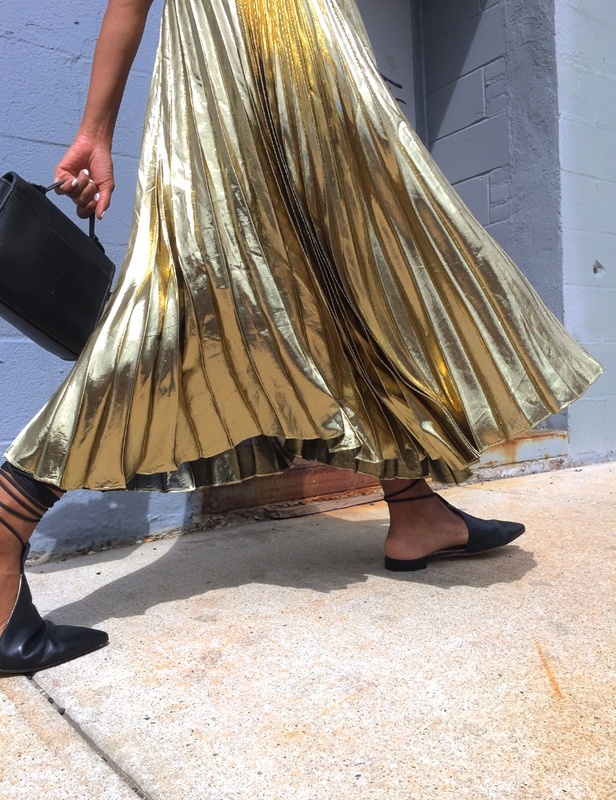 You lot know I’m partial to metallic pleated skirts after posts in the Reiss metallic skirt here with heels and this one with the Adidas trainers but the above one just takes the biscuit! As someone said on Instagram, it was meant to be. 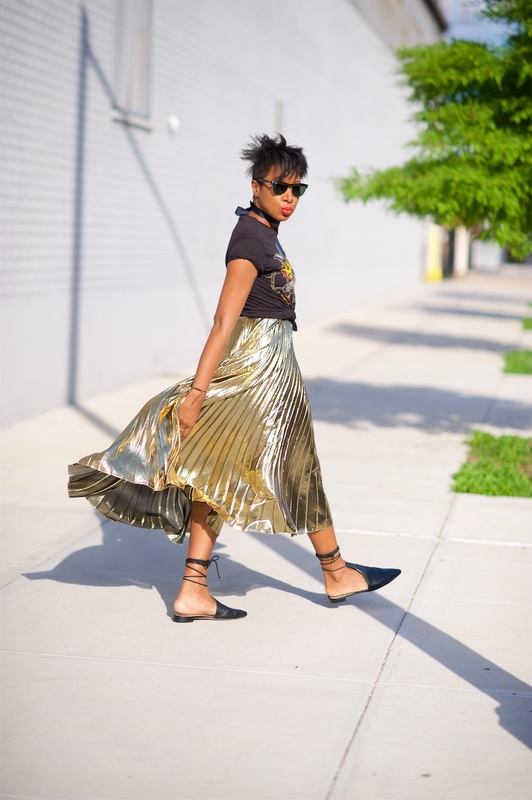 Do you own a metallic pleated skirt yet?